A beautifully simple, classic baptism gown for a baby boy, with short sleeves and a peter pan collar. 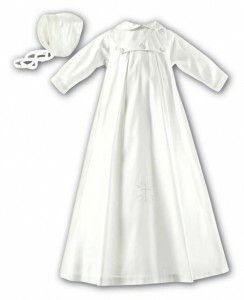 The front bodice of the christening gown has 6 rows of pin tucks and an embroidered cross. 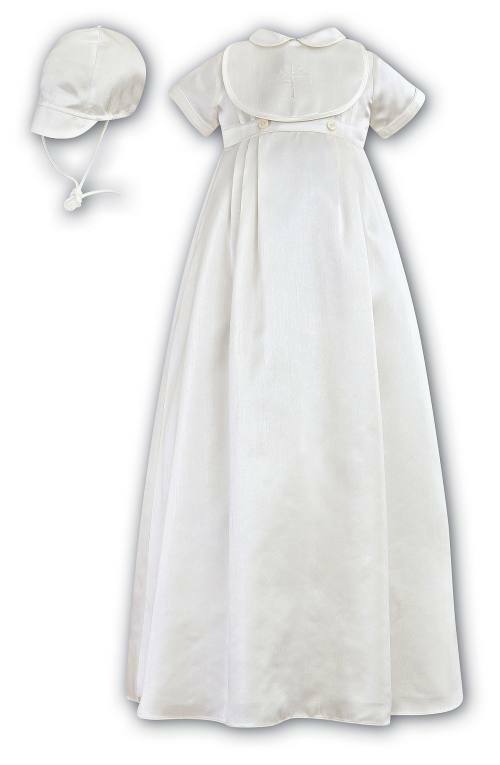 The fully lined gown buttons all the way down the back, making it easy to dress Baby. 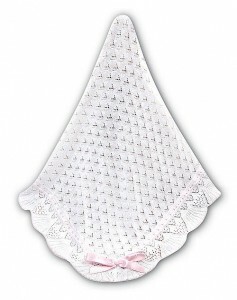 The gown comes with a matching bib with an embroidered cross and a peaked cap which ties under Baby’s chin. 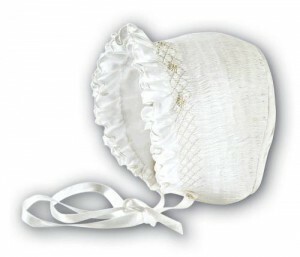 In 100% polyester and fully washable. 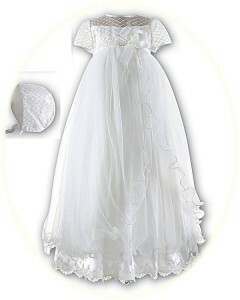 From the “Sarah Louise” collection.